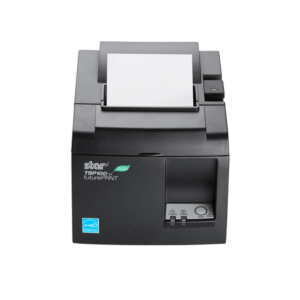 The Star TSP654 LAN printer is a robust, mid-level thermal receipt printer. 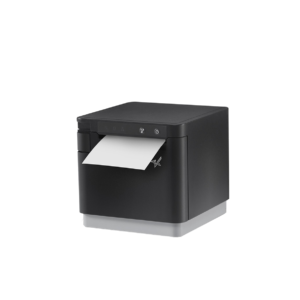 The Star mC-Print3 is a compact, versatile 80mm receipt printer ideal for businesses operating traditional PC POS systems as well as those migrating to tablet and web-based POS. Ideal for both traditional and tablet POS, the mC-Print3 is a compact 132 x 140 x 125mm with front feed and front paper loading for high quality 80mm receipts, barcodes and graphics. The mC-Print3 also offers significant paper saving with a top margin of just 2mm. Its stylish cube design includes a “protected” control board, soft operating switches and IPX2 splash proof rating ideal for demanding hospitality environments and space-conscious retail outlets alike. 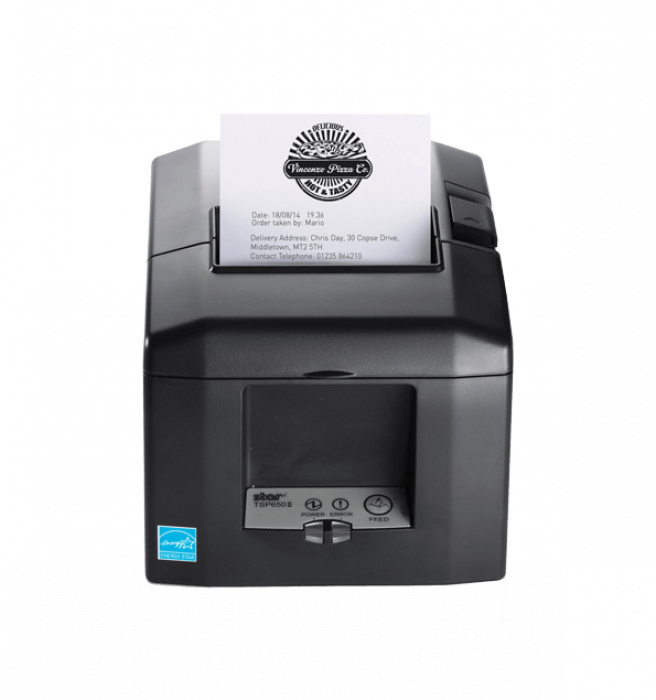 With USB, Ethernet and Lightning USB interfaces as standard and the added option of a Bluetooth Interface, the mC-Print3 receipt printer can be integrated into any traditional or tablet POS application. Star’s built-in WebPRNT and CloudPRNT technology allows for simple connection to local network or cloud based systems. 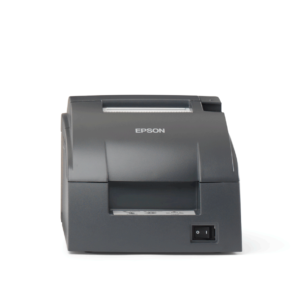 The Epson TM-U220B is a robust, high-performance impact receipt printer which is exceptionally easy to use. Featuring drop-in paper load, selectable auto-cutter and clamshell covers for easy access and maintenance, the TM-U220B is very reliable and prints on plain paper in three widths. 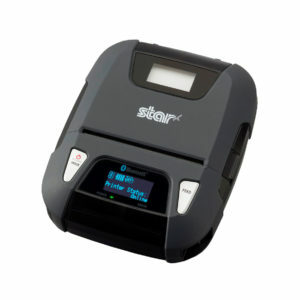 The Star TSP143iiiU is a great value, USB thermal receipt printer. Connect to your Windows, Mac or uniquely your iOS device (iPad, iPhone) to print customer receipts with the included printer drivers.